Have you been overworked and stressed lately? Or do you know someone who is undergoing anxiety, panic and trauma? These negative emotions have a negative effect on the body as they overwork the adrenaline glands and produce two hormones: DHEA and cortisol — both are ‘shock absorber’ hormones which buffer the negative impact that may affect mental and physical functions. Prolonged negative emotions are detrimental to health. 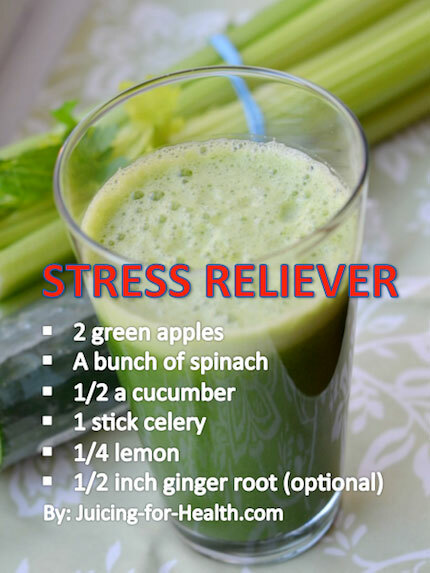 During this stressful time, this juice combo may help calm your nerves, improve your mood and sleep quality.